yourself with these gorgeous Drop earrings from Christopher Designs. A part of their Earrings collection, they are sure to dazzle with their unforgettable design. Model number G52ER-EC-S brings luxury to any outfit, made from 14k white gold. These Gemstone earrings are crafted with only the finest materials. 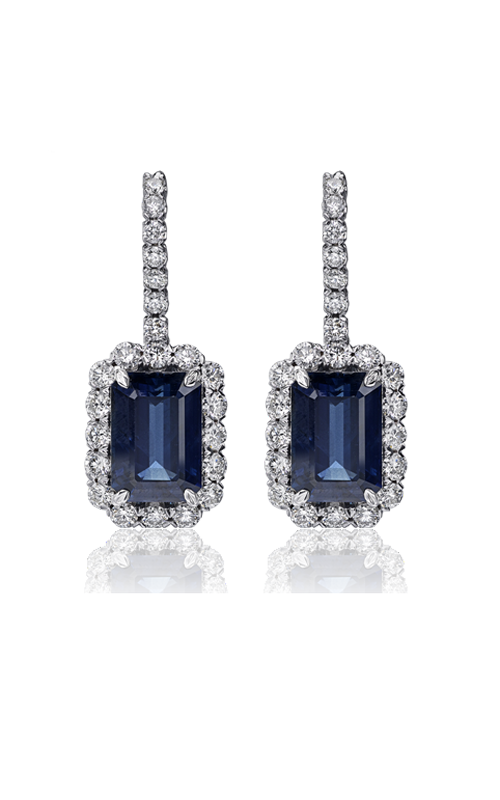 Sapphire, Diamond stones that grace these earrings in Emerald shapes, contrasting wonderfully with the color of the metal. The Sapphire, Diamond are held securely in place with a Pave, Prong setting.